From talking to other women on a cooking board I belong to, this seems to be a common problem for everyone - what to take for lunch?? So this month's Taste of Home Cooking Recipe Swap was all about lunch. I shared by White Bean and Spinach Soup with Brown Rice and was given a recipe for Buffalo Chicken Quinoa Salad from the blog Kate's Recipe Box. I was excited about it for a few reasons. I've been making a lot of Buffalo Chicken Recipes over the past few months, and loved all of them. Something about that spicy buffalo sauce with the blue cheese - yum! 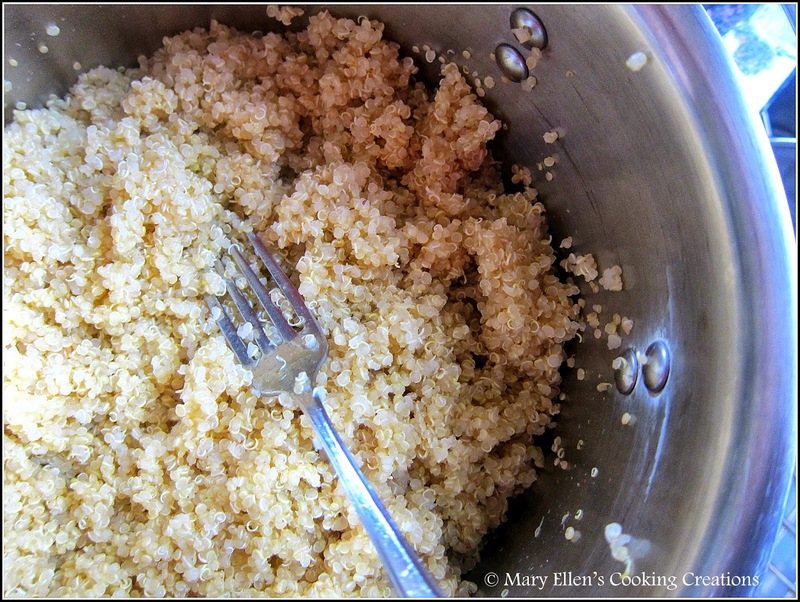 And I love quinoa too, but just haven't made it too much recently. Finally, this looked like an easy recipe that would be nice and filling, yet healthy - the perfect lunch! 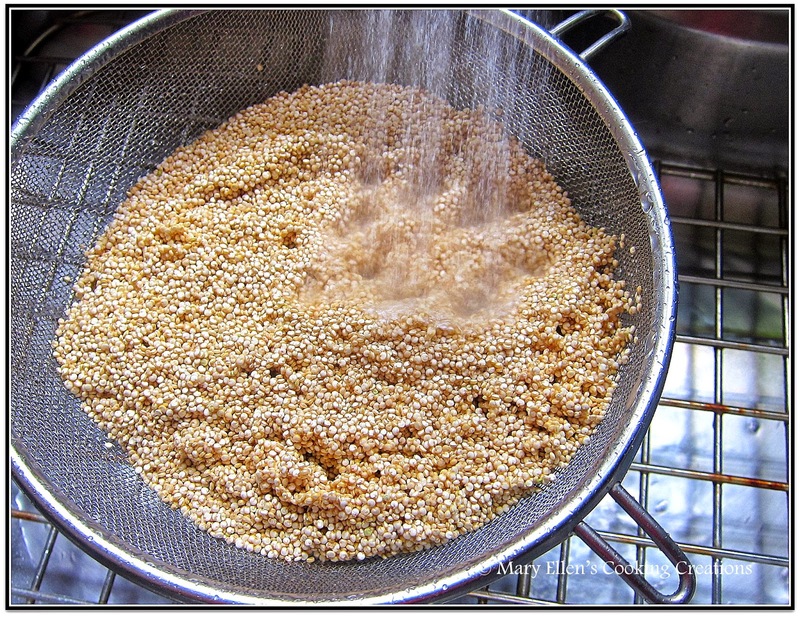 One note about cooking quinoa - you want to rinse it thoroughly before cooking it to remove any of the bitter taste. I ended up having some issues with this recipe, and I really hate giving recipes bad reviews during these swaps! But it's just my opinion, and everyone has different tastes. First, the dish seemed a bit confused. Was it supposed to be eaten hot, cold, or at room temp? Also, even though I started cooking my chicken before I added the hot sauce, the hot sauce completely reduced, burning my pan three times. I kept having to add chicken broth. And although I love the buffalo flavor on chicken, I thought that it overpowered the quinoa, and didn't go well with the broccoli. 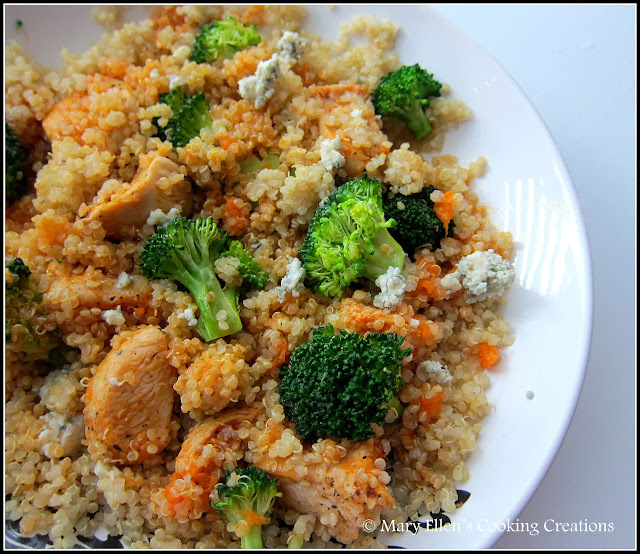 I love the idea of a chicken/veggie/quinoa salad though, so maybe if you love those things too and you make this, skip cooking the chicken in the buffalo sauce and just slowly add the buffalo dressing to taste. For the dressing, whisk all ingredients together and set aside. For the salad, rinse the quinoa well and add to a saucepan with two cups of water. Bring to a boil, then reduce heat to low and simmer for 20 minutes, until all water is absorbed. In a large skillet, heat the olive oil until shimmering. Add the broccoli and cook for about 5 minutes, until slightly softened. Remove the broccoli and set aside. Add the chicken and sauté 2 min per side, until golden brown but not cooked through. Add 1/4 cup hot sauce and broth to the pan. Cook until the chicken is cooked through and the hot sauce is absorbed. 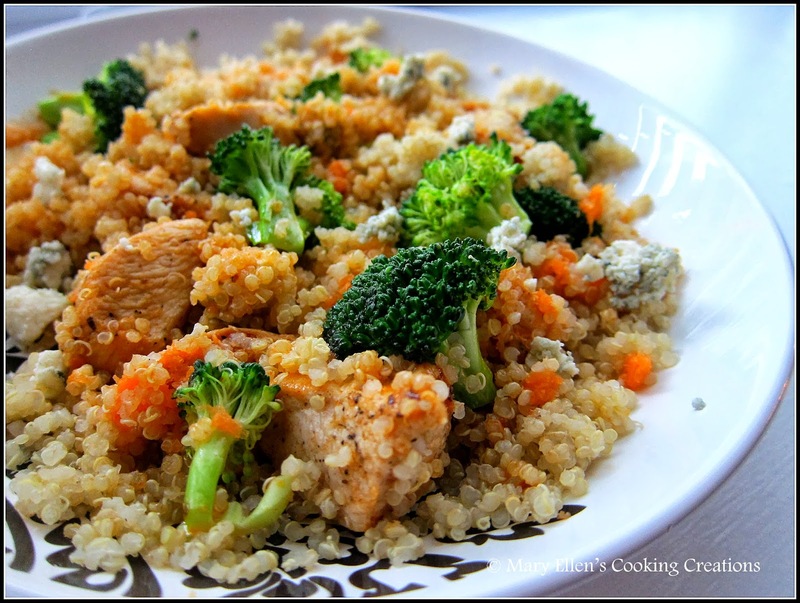 In a large bowl, toss together the cooked quinoa, cooked chicken, cooked broccoli, carrots and blue cheese. Add as much dressing as desired and toss to coat. Top with additional blue cheese before serving. quinoa and buffalo chicken? A new favorite of mine with an old favorite...sounds wonderful! Oh no! That stinks that the recipe wasn't a hit. I hate when that happens. It sounds like a great combo that may need tweaking. Bummer you didn't love this as much as we did!